More often than not, it's a detour, one that can leave you feeling temporarily stalled and slowed down. Which nobody likes. But detours are necessary if any improvements are going to be made on the paths we travel. Or if any wreck is going to be cleaned up or a hazard avoided. Detours are designed for our own good, regardless of how we view or feel about them. Detours: The Unpredictable Path To Your Destiny by Tony Evans was published by B&H Publishing Group in January 2017 and is our 53100th best seller. The ISBN for Detours: The Unpredictable Path To Your Destiny is 9781433686597. 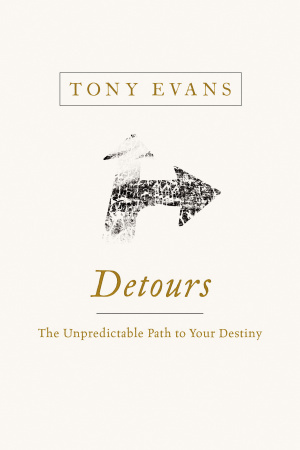 Be the first to review Detours: The Unpredictable Path To Your Destiny! Got a question? No problem! Just click here to ask us about Detours: The Unpredictable Path To Your Destiny.